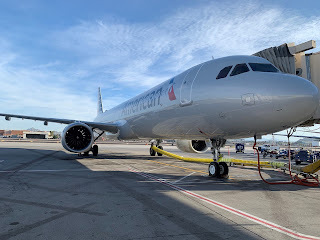 A major milestone took place on Tuesday, April 2nd as the US mega-carrier, American Airlines introduced its new Airbus A321neo to passengers. The first flight was American Flight 682 from Phoenix (PHX) to Orlando, Florida (MCO). Other routes will be added this year as additional A321neos join the fleet. American has ordered a total of 100 A321neos, which are powered by CFM LEAP-1A fuel-efficient engines and is ETOPS-certified for longer over-water flights. the A321neo will allow American to carry larger loads on its longer, more densely travelled routes such as Los Angeles and Phoenix to Orlando, or West Coast hubs to Hawaii. American Airlines has configured this new aircraft with 196 seats, spread over 129 in its main economy cabin, 47 extra-legroom main cabin extra seats and also 20 first class seats. The jet also features power at every seat and free wireless entertainment and live TV streamed right to each customer’s own device. 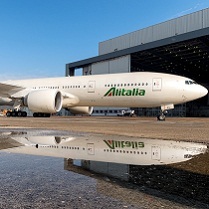 For those who want to stay connected to work or use their own streaming services, the aircraft has high-speed Wi-Fi from gate to gate along with built-in seatback holders for tablets and phones. LED mood lighting will further enhance the cabin environment for passengers, with built-in functions to match the time of day. 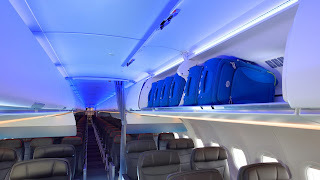 The aircraft also has the new larger Airspace XL overhead luggage bins that are designed to increase carry-on bag capacity. American is the launch customer for the Airspace XL bins, which provide approximately 40% more overhead storage space for passengers on board the 196-seat aircraft. In addition to equipping its new A321neos with the XL bins, American also plans to retrofit its entire in-service fleet of earlier A321 models – more than 200 aircraft – with the cabin features included on the new A321neos.